Phase 2 of 4 nine week training phases is now complete which means that my training for my first 100 mile trail run is now half way over (see my Phase 1 recap here)! It’s crazy to think that 18 weeks ago I set sail on this journey and that I only have 18 weeks left to train. It’s also crazy to think that Christmas is only abt 20 weeks away, and that by the time I race, we will have started school, and celebrated Halloween and Thanksgiving! Phase 2 weekly mileage increased to about 40 miles which I hit most weeks (barring my injury which I’ll mention shortly). My deadlifts this phase had more reps with slightly less weight, although I still did get a few big lifts in. I also got a mile PR this phase (6:48) which is a big improvement over my initial mile time prior to Phase 1 (7:25). And with the exception of the last week of Phase 2 and my injury, I maintained 6 yoga classes per week. Phase 2 has been tough though. It started off with a toe injury which paled in comparison to what happened a couple weeks later. While training in mid-June, I was charged by a barking dog at full speed, and having been attacked before, my PTSD kicked in and I completely panicked, turned around to flee, stepped wrong and fell, rolling my ankle. Luckily the dog stopped at the property line or it could have been a much worse outcome with me wounded and in a compromising position down on the ground. Fortunately, it was not overly severe, as I was able to begin running again about a week or so afterwards. I did take a few weeks off my deadlifting and squats though, and my ankle still swells daily and has limited mobility even today, about 6 weeks post incident. It takes me a while to get it warmed up now. Even though I knew I still had plenty of time to recover in time for the big race, this shook my confidence some and was a tough obstacle for me. Injuries and illness are very difficult challenges when training for a big event such as my 100 miler. Additionally I struggled to get adequate sleep this Phase. I’m still doing better than before my training began, but I’ve slipped into the low 50’s for weekly hours. I need to be at 60 hours a week minimum. Phase 2 wasn’t all bad though. Also this phase I did my first ever Banana Island. I’m going to do a video with my friend Rebecca (Texas Fruitarian) in a few weeks that will provide much more detail about what it entailed. 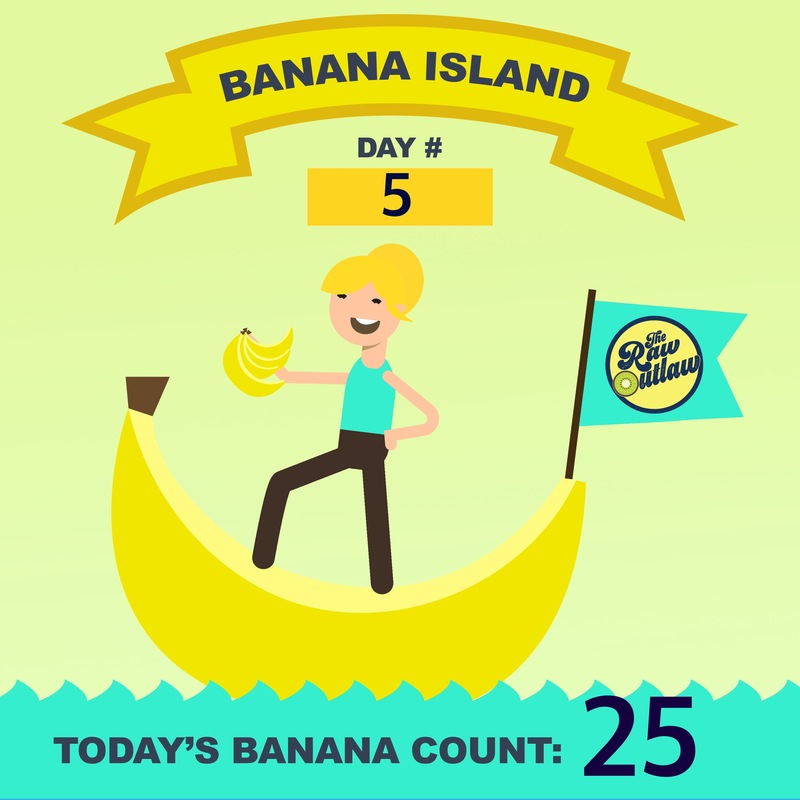 But to summarize quickly here, I ate bananas only for days 1-7. Then on days 8-9 I added celery. Then on days 10-14 I added lettuce. I enjoyed it very much and learned some cool new ways to eat these three ingredients and I’ll share that in the video as well so stay tuned! Follow me on Facebook and/or Instagram @TheRawOutlaw to make sure you don’t miss it! 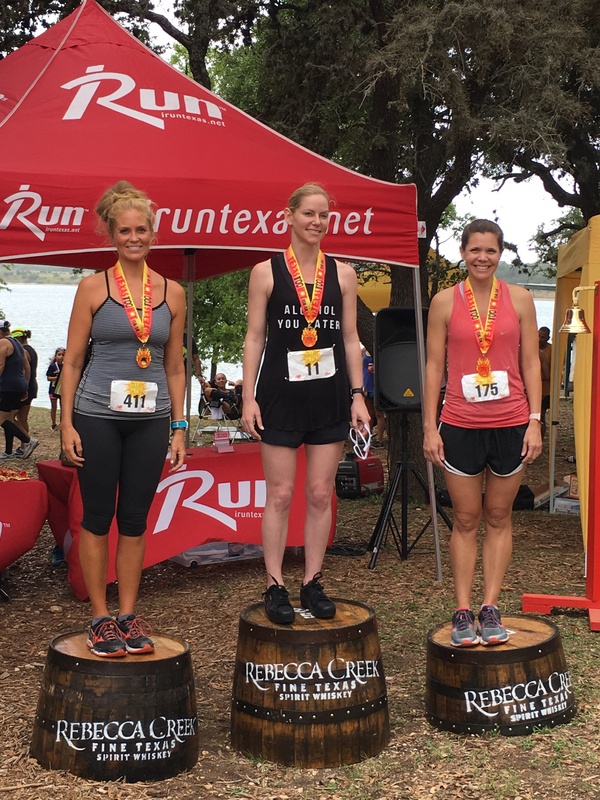 During Banana Island (day 5) I ran a 15k race thru the hills of Boerne, TX and placed 2nd for my age group (1:22)! I was very excited to podium and receive a medal. I don’t make top 3 very often, in fact, out of the hundreds of races I’ve run, this was only the fourth time! I was excited to show that eating just fruit (and actually just one fruit at that!) was enough to fuel me to a PR on a hot, hilly course. Also during Phase 2, I made it through my 20th high school reunion, a weeklong beach vacation with my family, several get togethers and parties with friends, and a small family trip to Dallas to hit up some amusement parks, and kept my fruitarian diet going and even more impressive (for me at least), did not drink any alcohol. Alcohol has been something that has held me back athletically in the past for numerous reasons and it’s felt great to finally just cut it out entirely. We have two weddings in August and I’m not even sweating it – I’m the designated driver and happy to do so. It’s a win-win! I’d also like to say that my kids drive me so insane lately that I’m glad I’m alcohol-free, because if not, surely I’d be hammered 24/7 if I was drinking to take the edge off and that’s definitely no way to live. I’ve signed up for only one other ultra as a part of my training- a 50 miler in mid-Oct. I will also do two 50k’s on my own, self-supported, one in late Sep and one in early Nov. I’m happy to have company if you’re in the area and would like to get in a long run with me! The latter will be hopefully on the 100 mile course outside Houston so as to get a feel for it. I’ve already checked it out but only got to run 2-3 miles of it. Imagining you being chased by a dog and stumbling to the ground reminds me of a cliched horror movie. I kind of ptsd with dogs, too. Something must have happened earlier in my life, too.